We’d love your help. 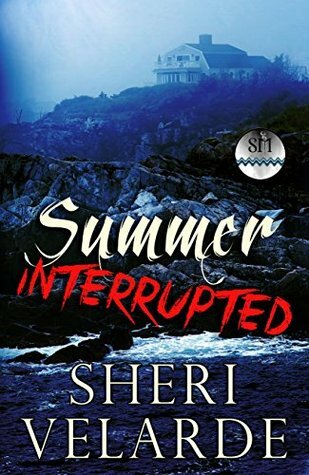 Let us know what’s wrong with this preview of Summer Interrupted by Sheri Velarde. To ask other readers questions about Summer Interrupted, please sign up. Summer Interlude Author Sheri Velarde. Review- Summer Interlude is a gripping paranormal story, about two girls Dot and Joy who find themselves in a cabin that holds a dark secret that starts to interfere with Joy's stay as she gets close to finding out the dark secret sounding the Cabin, with the help of her sister Dot and Mike. I really enjoyed this story, the spooky feel kept me gripped, needing to know how it ended. And the bond between Dot and Joy was really sweet. I thought this story had so Summer Interlude Author Sheri Velarde. I really enjoyed this story, the spooky feel kept me gripped, needing to know how it ended. And the bond between Dot and Joy was really sweet. I thought this story had some interesting characters to follow all the way to the end. I would recommend this book if you like a short but very gripping paranormal read. This is a quick and chilling short story full of ghosts and a good ole murder mystery. If you want a quick bone quivering read get this book. What a hand gripping ghost novella! Sure to make your skin crawl and push you to the end!